So we lost our fifth away game in a row and hold the unwanted record of being the only team that has failed to record a single point away from home in 2018 and we are four months into the year. Our first away game in 2018 was against Nottingham Forest in the FA Cup and we largely underperformed coming away from Forest Ground with our tails between our legs. Then we went to the Vitality Stadium and capitulated against a Bournemouth side that was struggling for form. As if that wasn’t bad enough, we connived to lose to a Swansea side, despite scoring first, at the Liberty Stadium while they were at the foot of the table. I didn’t expect any fireworks when we played Tottenham at Wembley, and even the whole ‘we haven’t lost in Wembley for a while‘ bullcrap didn’t hold any water. Petr Cech was the only reason the scoreline remained respectable. Then there was the pathetic loss to Brighton & Hove Albion that was really shameful to say the least. 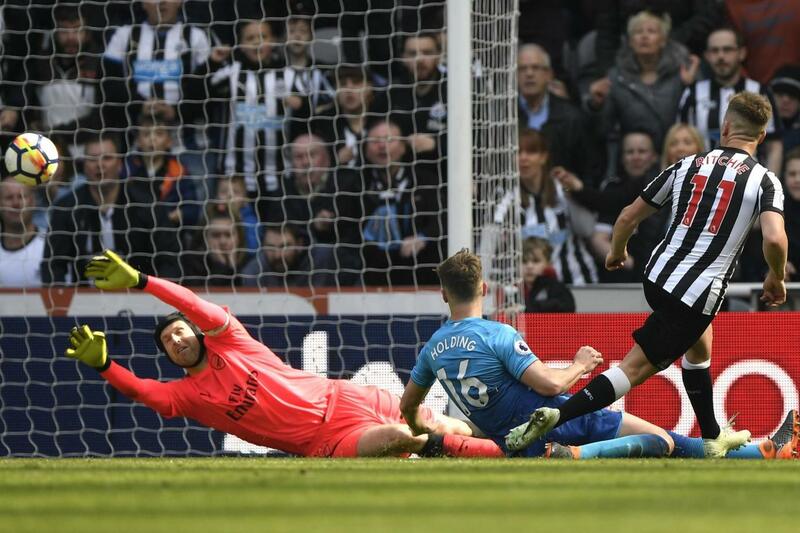 This essentially meant that the Gunners needed an improved performance against Newcastle to restore some pride in what has been a shambolic season. Yes, we can’t finish in the top four and have laid all our eggs on a Europa League basket, but you still expect these lads to put up a performance deserving of the shirt they are donning. We even started well with 130 million pounds worth of strikers combining to give the Gunners but like it has been all season long, consistent defensive lapses and shabby goalkeeping from a once-respected custodian between the sticks gave the hosts their equalizer. When I remember how Valencia CF hamstrung us to get every penny out for Skhodran Mustafi, it really hurts. This guy is meant to be in the top five of our most expensive signings ever (only behind Pierre-Emerick Aubameyang, Alexandre Lacazette and Mesut Ozil) but he has been a massive disappointment this season. When you combine him with Laurent Koscielny that has suffered a terrible loss of form this season, it becomes a recipe for disaster. Just a week ago, Mustafi lost all awareness of the opposition forward as Shane Long crept in to nick a goal in to give Southampton a shock lead. He didn’t even learn from that mistake as Ayoze Perez reacted quickly to level the tie with a smart finish that went past Cech on his near post. I don’t understand how a footballer would fall short on the same scenario with just one week apart. This is not Jean-Alain Boumsong or Titus Bramble we are discussing about! We all know Mustafi as that guy that would aggressively hit the ground with a sliding tackle first then ask questions later. In the past two league games, he has shown his zero awareness, concentration and lack of communication in the danger area and that can only put us in more problems in the coming weeks. Then there’s Petr Cech – the man who John Terry famously said that he would save us 12 to 15 points in a season. The legendary Czech goalie has been a shade of the goalie we used to know. Yes, he still pops up with the good save from time to time, but in a world where the Neuers, De Geas and Oblaks are raking in consistent performances week in week out, it’s really sad to see how badly our goalie has regressed. It’s even more depressing when you remember that he has David Ospina as his deputy – another erratic goalie with his own penchant for errors. It was really painful watching him concede such a goal in his near post, but even at 1-1, I expected the Gunners to launch an onslaught and take the game by the scruff of its neck. What we got afterwards was more comical defending with the usually reliable Nacho Monreal caught out of position, allowing Matt Ritchie to blast the ball past the hapless Cech to win the contest. The defeat showed the immense lack of quality in the squad besides the starting XI. These are more or less the same set of lads that fluffed their lines so terribly at Nottingham and it’s quite shameful when I think about the individual performances. In defense, we looked out of depth. Rob Holding was expecting a ‘senior’ player like Mustafi to lead the back line but such leadership was found wanting. I was in full support of giving Hector Bellerin a breather but Calum Chambers is no right back. He should channel his football education as a center back, which means that the club needs to invest in a new right back – someone to give Bellerin that kick up the arse because Matt Debuchy is gone and Carl Jenkinson isn’t good enough for a team like Arsenal. I would have expected Monreal to get some minutes off but the manager clearly doesn’t trust Sead Kolasinac enough. Mohamed Elneny was a beast against CSKA but he had a very subdued performance alongside Granit Xhaka in the middle of the park. The youngster, Joe Willock, did the best he could but when you throw a lad into the deep end like we did, it would be somewhat unfair to expect fireworks from him, even though I would have preferred if he did better with that great chance Lacazette created for him. Alex Iwobi flattered to deceive again and proved why he can be nothing but a squad player at best. For a lad that has been exposed to so much football, you’d have expected him to show any signs of improvement but it was not to be as he continued to dally on the ball and offered no real threat from an attacking perspective. I’m pretty sure Lucas Perez or Joel Campbell would have offered a bit more this season from the flanks, especially with our second tier squad performing badly when they are expected to put on a shift. You could not doubt Perez’s goal to game ratio and Campbell was one lad that sure knew how to put on a shift when he was selected. I was somewhat surprised with the Aubameyang to the left flank situation to accommodate Lacazette. It remains one of the things that baffles me about Wenger. You sign a center forward for a record fee that hit the ground running immediately then you stifle his progress in your bid to make a case for another forward still working his way to form. With Aubameyang cup-tied, I expect him to start every game as our center forward while Lacazette gets his chance in Europe, but as always, Wenger really loves trying out square pegs in round holes. Some would say he’s adept playing on the flanks but his best return for Dortmund, which is 141 goals in 212 games should I remind you, came when he was deployed as a center forward. He even showed great wing play to tee up a goal for Lacazette but as the game progressed, he was left isolated on the wing. Even when the manager brought on Danny Welbeck, Aubameyang still remained on the left wing. I don’t understand how we have let things get this bad at the club. I know the Europa League was a priority, but that was a terrible performance. With Arsenal level on points with Leicester but edging the Foxes out on goal difference, the Gunners hosted Newcastle while the Foxes played high-flying Bournemouth at home. The away side seemed to be the ones with the best chances created and Arsenal had Petr Cech to thank as the big goalie continued to make several saves from Giogiornio Wijnaldum. There were also close shaves from Chance Mbemba and Aleksandr Mitrovic. It’s not as if it was all about Newcastle, Arsenal had chances of their own with Olivier Giroud trying to get on the end of some good crosses but it took as long as 70+ minutes before the telling stat came up…Giroud showing great determination to win a header before Laurent Koscielny reacted the quickest to toe poke the ball home. Late on, Mesut Ozil teed up Aaron Ramsey that made fools of two Newcastle defenders before firing his goal-bound shot wide. It also meant that Arsenal have only won two Premier League games without a goal or an assist from Mesut Ozil this season – both against Newcastle. With Leicester dropping points against Bournemouth, no thanks to Riyad Mahrez missed penalty, Manchester City maintained their title chase with a grounded out victory against Watford, this victory over Newcastle has put the Gunners in the driving seat. 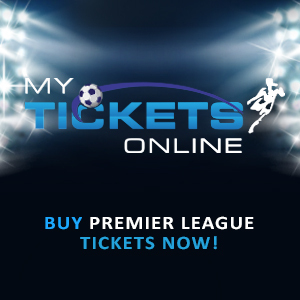 After playing the last game of the previous week, the FA, in their infinite wisdom, decided that Arsenal was going to open the proceedings this week with an away fixture against Newcastle. Steve McClaren’s side was still buzzing after securing a priceless point at Old Trafford and I wondered whether Tim Krul was going to continue his heroics against the Gunners. It didn’t take long before Krul picked up where he left off, making a close save from Theo Walcott, that had started in place of Olivier Giroud. The game was cagey affair but it was meant to spring to life when Hector Bellerin was clearly impeded in the box. For some strange reason, the ref turned a deaf ear to Arsenal’s appeals for a penalty and the game progressed. The ref was under the spotlight again when Aleksandr Mitrovic stamped on Francis Coquelin, and without thinking twice Andre Marriner brandished a red card to the Serbian forward. With the home side losing a man, McClaren adjusted his tactics for his side to play really deep and they did their bit to smother the Gunners and deny them any space whatsoever. A window of opportunity arrived when Alexis Sanchez fired a shot that was parried by Krul, Walcott used his blistering pace to get to the ball but his shin lofted the ball over the bar, much to the dismay of the Arsenal faithful watching the game. By his huge standards, that was some miss. From then on, the game had an erratic feel about it, with the Gunners wasteful in possession and playing without any urgency, despite having the numerical advantage. The breakthrough finally arrived early in the second half when Alex Oxlade-Chamberlain fired a shot that was deflected into the net by Newcastle’s skipper, Fabrizio Coloccini. Own Goal has been a vital signing for the Gunners these days, scoring winning goals against Crystal Palace and now, Newcastle. Ox would have had another chance to make it two when Nacho Monreal provided a superb cut back but he failed to get the ball under control. Wenger made a couple of substitutions to alter the flow of the game but in the end, Arsenal went back to North London with three points in the bag, as well as propelling up fifth place in the table. From an attacking standpoint, the game was a disappointment for Arsene Wenger’s side as they failed to provide any cutting edge to put Newcastle to the sword. Yes, the Magpies defended really deep but there were moments when the Gunners should have at least, let one rip from distance but they stuck to their intricate passing philosophy and that didn’t reap much fruit. Another talking point would be that blatant penalty that was denied by the referee. The standard of officiating in the Premier League keeps dropping with each passing season but that would go down as one of the key decisions that would have turned the game on its head. However, I’m grateful for three valuable points and the Gunners can go into the international break feeling much better about themselves.